After a long, hard winter, spring is finally here, and it’s time to celebrate! 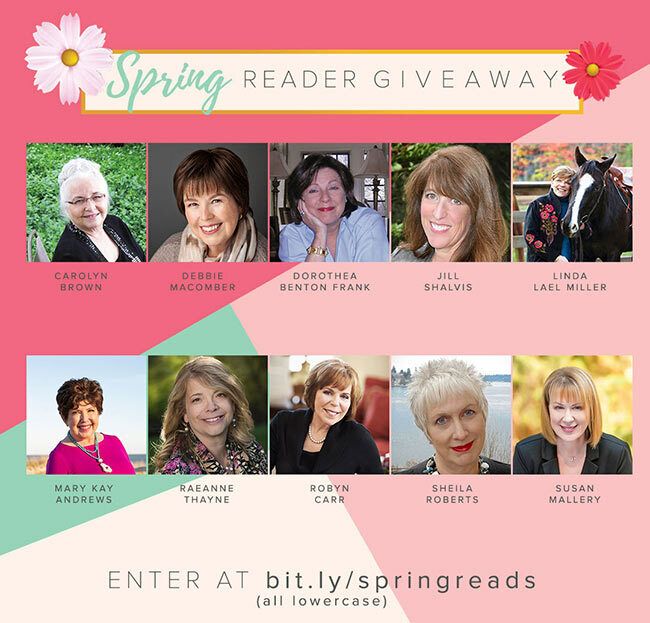 I’ve teamed up with an amazing group of authors to bring you the Spring Reader Giveaway. Four readers will win a $25 gift card, and the grand prize winner will receive a $150 gift card to the bookstore of her choice. Plus, you just might discover a book (or ten) to read this spring! Enter now Here! Becoming a family will take patience, humor, a little bit of wine and a whole lot of love. After life knocked Delaney Holbrook sideways, she didn’t get down—she got busy. She went back to school, determined to reinvent herself. She even swore off men in suits. But then one particular man in one very fine suit proves too tempting to resist—Malcolm Carlesso, CEO of a family-owned food company. Malcolm’s life has been complicated by the arrival of two half sisters he’s never met…and isn’t sure he wants around. How can Delaney trust a man who keeps his own sisters at such a distance? Alone in the world, Callie Smith never expected to find a family. Suddenly she’s living in a house the size of a small country with her stuffy and aloof new brother and streetwise sister, wondering whether this place—and these people—will ever feel like home. Just as she’s beginning to get settled, a new opportunity presents itself, daring her to dream of more…until her past threatens to take it all away. 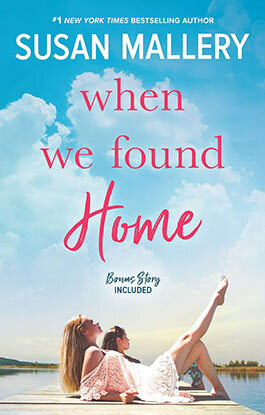 Friends brought together by chance, Delaney and Callie will soon discover the closest families are bonded by choice—not by blood—in this uplifting story from the consistently unputdownable Susan Mallery. COMING SOON TO HARDCOVER (BRAND NEW)! Etiquette coach Margot Baxter knows precisely how to manage wayward clients…until she comes face-to-exquisite-face with Bianca, an aging movie star notorious for her shock-and-awe tactics. Schooling Bianca on the fine art of behaving like a diplomat’s wife is the greatest challenge of Margot’s career. Soon, secrets unravel that bring them closer together and force Margot to confront the truth: Change doesn’t just happen. She has to be brave enough to demand the life—and love—she’s always wanted. For years, Sunshine has been the good-time sister, abandoning jobs to chase after dreams that will never come true. No more. She refuses to be "that girl" again. This time, she’ll finish college and dedicate herself to her future. And she 100 percent will not let her life get derailed by a man again…no matter how tempting that man may be. Master storyteller Susan Mallery weaves threads of family drama, wit, heart, and a wish-you-were-there setting into one of the most satisfying books of the year!